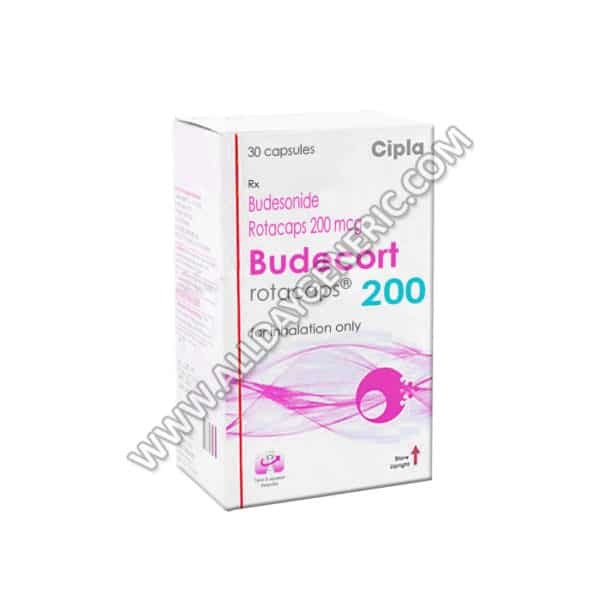 Budecort Rotacaps 200 (Generic Budesonide 200 mcg) online at the lowest price from a most trusted generic store. 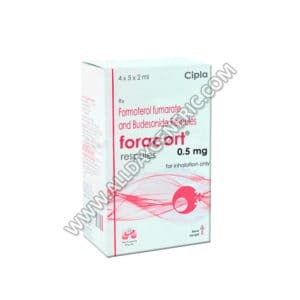 Get all details regarding Budecort Rotacaps like the Composition, reviews, how to work, how to take, how long does it last, side effect, dosage, Substitutes, and Precautions, Budecort rotacaps 200 price — manufactured by Cipla Ltd. You can also get a product at your doorstep with our fast delivery service in the UK, USA, Australia, France, and China. Our all products have a flat 10% off for sale on reorder. Our service is strictly confidential and 100% trustworthy. We also have in stock Budecort 400 mcg Rotacaps (Budesonide 400mcg and 100mcg) which is used to treat the same indications. 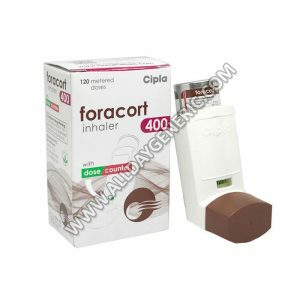 Budecort 200 is indicated for the maintenance treatment of Asthma as prophylactic therapy in adult and pediatric patients six years of age. 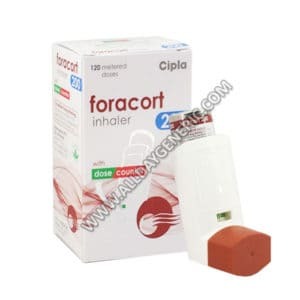 It is also suggested for patients requiring oral corticosteroid treatment for asthma. Many of those patients may be able to reduce or eliminate their requirement for oral corticosteroids over time. Budecort is used to prevent difficulty breathing, chest tightness, wheezing and coughing caused by asthma. 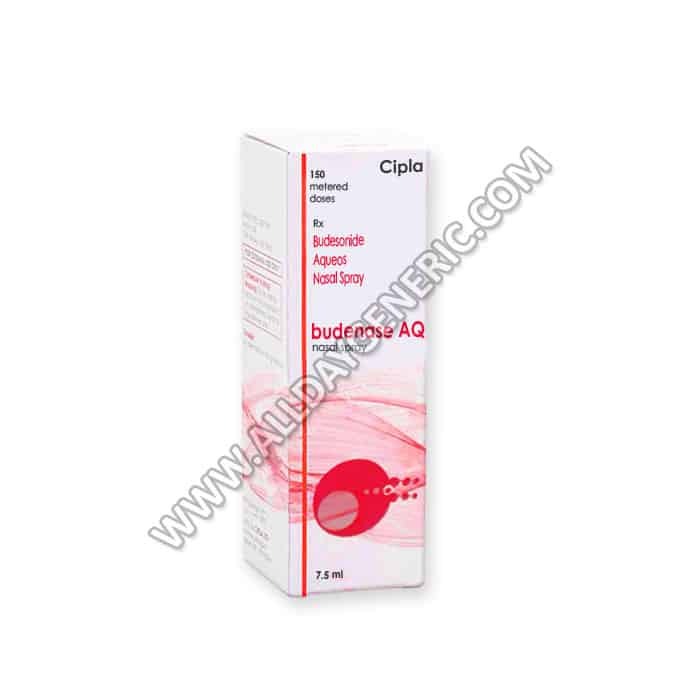 Budesonide 200 mcg powder for oral inhalation (Budesonide Flexhaler) is used in adults and children six years of age and older. Budesonide suspension (liquid) for oral inhalation (Budecort Rotacaps) is used in children 12 months to 8 years of age. Budecort 200 refers to a class of medicines called corticosteroids. It works by reducing swelling and irritation in the airways to allow for easier breathing. 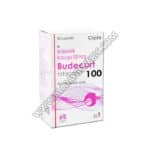 Budecort contains Budesonide which is works by suppressing the body normal immune response to asthmatic triggers (allergic stimuli) which is responsible for the asthmatic attack. It also decreases swelling (inflammation) in the airways. 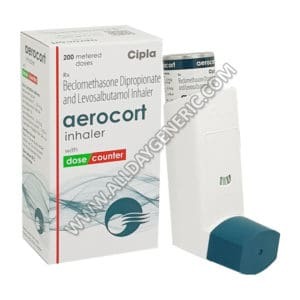 In this way, Budecort 200 prevents patients from wheezing, difficulty breathing, and chest tightness caused by asthma. The dosage and duration of using this medicine may change depending upon medical condition and the age of the patient and type of dosage forms. So you are advised to take Budecort 200 as directed by your physician. Although, the budesonide capsules is used twice daily or advice from the specialist. What precautions need to take before using Budecort Rotacaps 200? Inform your physician in case of cardiovascular, hepatic and renal impairment, diabetes, peptic ulcer, diabetic retinopathy, concurrent use of oral contraceptives, the story of psychotic disorders. The following side effects are possible but do not always happen. Some of the side-effects may be limited but serious. Advise your specialist if you observe any of the following side-effects, mainly if they do not go away. Usually, 1 to 4 puffs twice a day is suggested for the adults and children 1 to 2 puffs twice a day. The dose can vary extensively and is required to be taken regularly. Always follow the doctor’s instructions. The dose intake is prescribed by the physician depending upon the severity and demand of the disease condition. Q. Does Budesonide cause weight gain? Yes, Budecort 200 causes Weight gain. Q. Can you mix brovana and Budesonide? Budesonide cannot be mixed with other nebulized medications and should be administered separately. 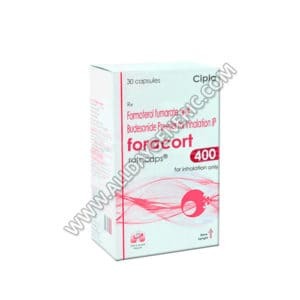 It is noteworthy that during the whole study there were no serious adverse drug reactions due to Budecort 200. It is an effective and safe long-term maintenance therapy in collagenous colitis, which preserves the health-related quality of life. Why Budecort 200 mcg Rotacaps from AllDayGeneric? 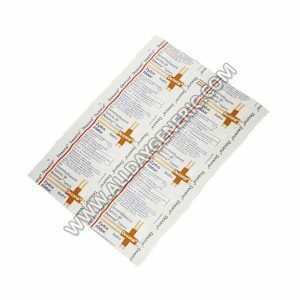 Authenticity: We only sell authentic Budecort 200 mcg Rotacaps, manufactured by Cipla Ltd. A valid licensed Indian pharmacist dispenses all medications sold by AllDayGeneric.